Tis the season for hot cocoa, snuggling by the fireplace, and holiday shopping! Are you looking for the perfect gift to give your loved one this year? Make it easy on yourself and print off the shopping list we already created, and checked twice, for you. Shower your favorite people with local merchandise while allowing yourself to relax and kick back with all the time you have saved this shopping season. For the Vino Enthusiast – We all have a wine aficionado in our lives. Make their spirits bright by gifting them a bottle (or two) of Giggling Grapes wine. Locally produced, this sweet nectar comes in flavors such as raspberry, white strawberry, pomegranate, raspberry grapefruit, and peach. And, if not to gift, add a bottle to your holiday survival kit! For the BBQ Expert – Give your grill master a taste of JQ’s on High (literally) by supplying them with the shop’s bottled BBQ sauce. Or, grant them a break from the grill with the most satisfying gift of all: a gift card to Sweet Smoke BBQ. Either way, you’ll make their taste buds sing. For the Master Decorator – It’s not easy buying for those with a keen sense of style, but The Schaefer House has everything your décor-lover could ever wish for. Whether you want to pick out the merchandise yourself or purchase a gift card, they have you covered! Our vote goes to the Jefferson City themed pillow – it’ll add the perfect touch to any room. For the Passionate Artist – Jefferson City is home to many different specialty stores. If you have a person in your life who enjoys quilting, sign them up for a class at Specialty Quilts and Fabrics; they offer classes for the beginners to the expert quilters. Or, purchase a one-of-a-kind piece from an artist at The Art Bazaar, a local art co-op that provides spaces for creators to exhibit their work. 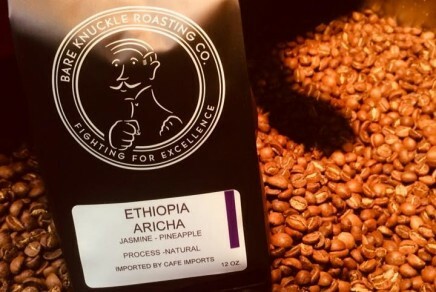 For the Early Bird – If you really want to make that special someone happy, sign them up for a monthly coffee subscription to Bare Knuckle Roasting Co., a locally owned and operated roastery in Jefferson City. Are early mornings too rushed? Grab your loved one a gift card from Brew House Coffee and let the coffee shop do all the brewing! 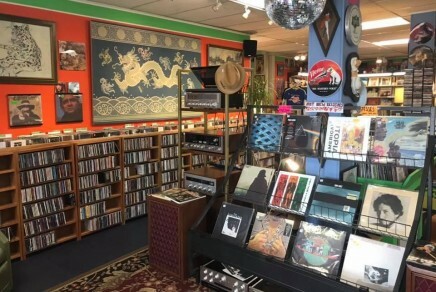 For the Music Lover – For the person in your life who knows which albums are about to drop, speaks almost solely using lyrics, and can tell you which concerts are coming to town, look no further than In the Groove Records. The store sells new and used records, CDs, and audio equipment. Their music collection spans all genres of music from rock and jazz to R&B and blues. If you would rather give the gift of experiences, go on an adventure to the store and pick out records together! Looking for more holiday shopping ideas? Click here to peek at all of our JCMO Original businesses and support local this holiday season!